Few companies represent the American Dream as well as John Deere and its eponymous founder. Today, John Deere is one of the most popular manufacturers of agricultural equipment worldwide. In this Shop Talk Post, we paint a picture that captures John Deere's humble roots, its period of astonishing growth, and its strong presence in the world today. 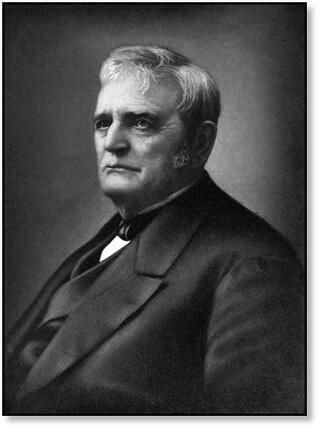 John Deere was born in Vermont in 1804. His father, William Deere, had spent his life trying his hand at different types of businesses, but is believed to have ultimately died at sea during a journey to England. He had embarked on that fateful journey to claim a substantial inheritance for his family. Unfortunately, his untimely disappearance left John's mother, Sarah, in dire financial straits. Due to this misfortune, John had a tough childhood. John became an apprentice to a blacksmith when he was just 17 years old, a move that would prove to be a very wise choice. When he started a blacksmithing shop of his own, he decided that it was time to move to Illinois to give his own, small family a new beginning. The roots of the John Deere Company can be traced back to Deere's small blacksmithing shop located in Decatur, Illinois back in 1837. The company was known then as Deere & Co. It was here that John Deere invented a polished steel plow that was both highly-effective and self-scouring. The first prototype of this game-changing innovation was made from a broken saw blade. His plow was carefully designed to cut through the sticky, heavy soil that the local farmers struggled with, and would rapidly replace the ineffectual wooden and cast iron plows that they had been using for years. Starting with the 2,000 plows he produced in 1849, Deere's business grew rapidly over the next few years. After plows, the John Deere company expanded its offerings to include wagons, corn planters, and cultivators. 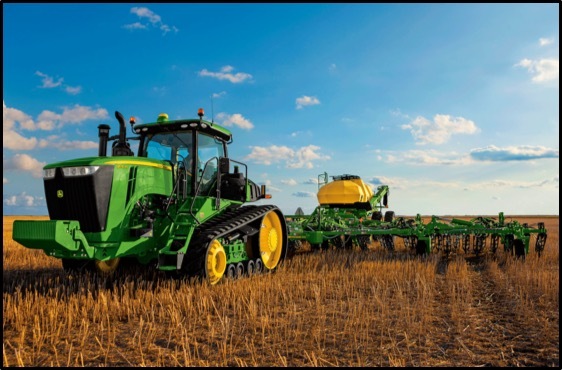 Deere changed his manufacturing methods from providing on-demand manufacturing equipment to building an inventory of the most popular agricultural equipment. By the early 1900s, the company had begun to focus on manufacturing tractors, which was then followed by innovative, versatile combine harvesters that greatly increased the productivity of American farms. During World War II, John Deere began to manufacture military tractors, M3 tanks, and other equipment to support the Allied war effort. In the 1960s, John Deere began to produce four- and six-cylinder tractors. Next, they began to implement improvements across the board that made the John Deere name practically synonymous with tractors. Eventually, John Deere branched out into earthmoving and forestry equipment, and followed by tailoring some of its offerings for use in landscaping and general lawn care. Today, the agricultural division of John Deere manufactures tractors, harvesters, combines, self-propelled sprayers, and front end loaders, among many other related products. The construction division focuses on equipment including backhoe loaders, compact track loaders, crawler dozers, crawler loaders, excavators, skid steers, tractor loaders, and wheel loaders. The forestry division manufactures feller bunchers, harvesters, and skidders. In short, the John Deere company has expanded drastically since its first steel plow was put into production! From the creation of a groundbreaking (pun intended) steel plow to the presence of powerful machines in operation all over the world, John Deere has grown to become a powerful leader in heavy equipment. However, despite how far John Deere has come over the years, its heart will always remain close to its roots in farming and agricultural equipment.